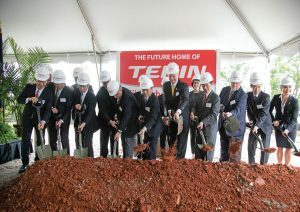 Teijin celebrated the groundbreaking ceremony for its $600 million carbon fiber production facility in Greenwood, S.C. The United states continues to attract investment, both foreign and domestic, in a range of industry sectors. U.S. manufacturing continues to progress in 2019. The latest Manufacturing ISM® Report On Business® published by the Tempe, Ariz.-based Institute for Supply Management® (ISM®) continues to report positive news: “Economic activity in the manufacturing sector expanded in February, and the overall economy grew for the 118th consecutive month, said the nation’s supply executives.” And the same report stated that of the 18 manufacturing industries, 16 reported growth in February, with the “Textile Mill” sector ranking third out of the 16 sectors. The challenges facing the U.S. textile industry no-doubt continue and international trade law is still in flux, but the current industry sentiment and capital spending are bright signs for the future. And the influx of foreign direct investment speaks positively for manufacturing in the United States. The following reviews Textile World investment news headlines from the past year as a recap of recent textile business activities. Keep in mind, there are many quieter projects taking place that never make the news. 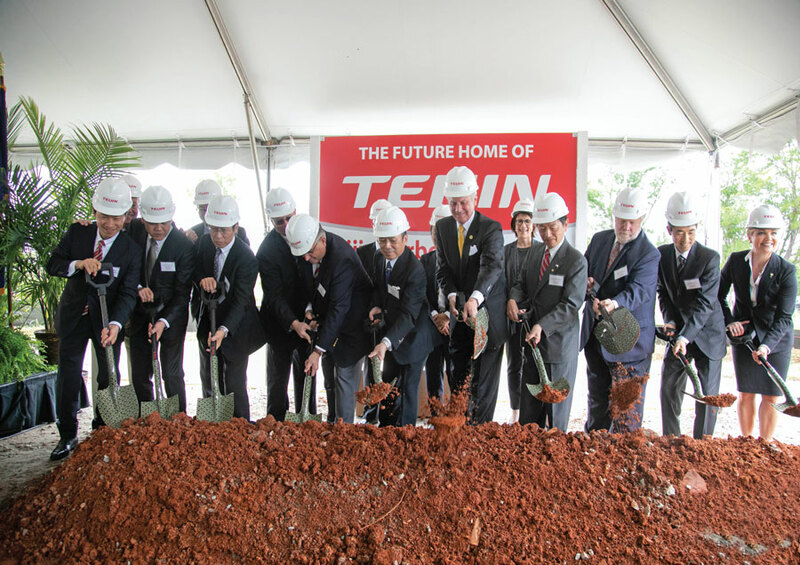 Last year, Tokyo-based Teijin Ltd. broke ground on a new carbon fiber plant in Greenwood, S.C. The plant will be part of its wholly-owned subsidiary Teijin Carbon Fibers Inc. (TCF). The total investment is expected around $600 million by 2030, and the TCF facility is expected to employ 220 people. More recently, Teijin announced that its Tenax carbon fiber and carbon fiber thermoplastic unidirectional pre-impregnated tape known as Tenax TPUD were qualified by Chicago-based Boeing and registered in its qualified products list. Teijin said it will supply Tenax TPUD as an intermediate advanced composite material for primary structural parts for Boeing.“Going forward, Teijin intends to further strengthen its carbon fiber and its intermediate material business as a leading solution provider for aircraft applications, targeting annual sales in this field in excess of $900 million by around 2030,” reported Teijin. In other Teijin investment news, the company just announced that it has agreed to acquire Renegade Materials Corp., a Miamisburg, Ohio-based supplier of highly heat-resistant thermoset prepreg for the aerospace industry. Renegade will become a wholly-owned subsidiary of Teijin. Late last year, Gastonia, N.C.-based Beverly Knits Inc., announced the expansion of its manufacturing footprint. In addition to purchasing new finishing equipment, Beverly Knits also established a new company named Altus Finishing LLC. According to the company, Altus Finishing will offer commission finishing services for the bedding, industrial and apparel markets. Dyeing, heat-setting, tumbling, shearing and specialty coatings are among the services offered. 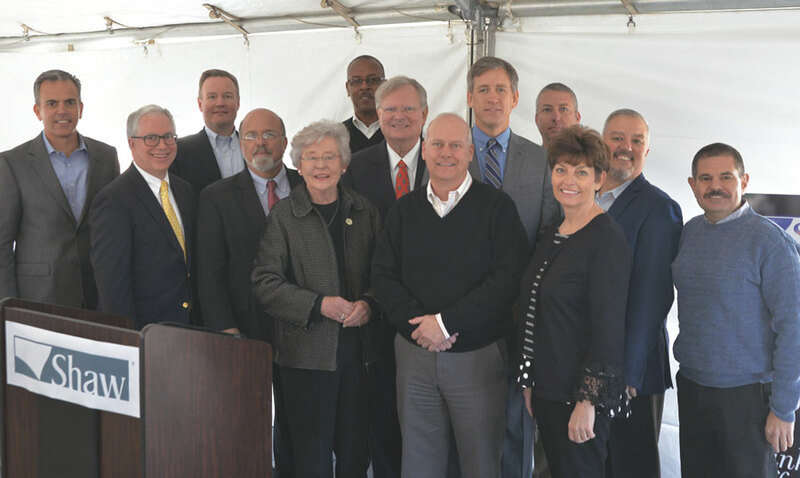 Alabama Governor Kay Ivey, Andalusia Mayor Earl Johnson and Covington County Commission Chairman Greg White joined Shaw Associates to celebrate its modernization investment. At the end of last year, Dalton, Ga.-based Shaw Industries Group Inc. announced that it will invest $250 million in its Andalusia, Ala., manufacturing facility, which creates fiber used to manufacture residential carpet. The company reports that the project includes construction of new and expanded building assets, and installation of substantial amounts of new manufacturing equipment. The changes will create better efficiency, production, ergonomics, and safety for the more than 1,200 associates who work at the plant. Corpus Christi Polymers LLC — a joint venture between IVL subsidiary Indorama Ventures Holding, Alpek S.A.B. de C.V. and Far Eastern Investment (Holding) Ltd. — entered into an asset purchase agreement with M&G USA Corp. to acquire its integrated PTA-PET plant under construction in Corpus Christi, Texas. It seems that Bangkok-based Indorama Ventures Public Co. Ltd. (IVL) is continually announcing an expansion of its global footprint. One of the company’s U.S.-related investments was announced at the beginning of last year when IVL and South Korea-based Huvis Corp. (HC) said they planned to join forces and develop, construct and operate of a low melting fiber (LMF) plant in the United States in a 50:50 joint venture (JV). Huvis Indorama Advanced Materials LLC represents a $48 million investment and is located at Auriga Polymer Inc.’s campus in Spartanburg County, S.C. Annual capacity at the state-of-the-art plant is expected to be 60,000 metric tons, and the plant will create 50 new jobs. Initial volumes of LMF will be sold in the United States, “with its new low tax environment and the potential to significantly expand its scope into neighboring regions over time,” according to IVL. LMF sales are expanding at a rate of 8-percent a year as manufacturers have been converting from conventional chemical adhesives to thermobonding methods, reports the company. An agreement to acquire a polyester (PET) recycling facility from Custom Polymers PET in Alabama. 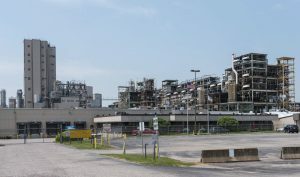 The facility consists of two production lines — recycled PET (rPET) flake and food-grade rPET Pellets, with a combined capacity of 31,000 metric tons per year. The acquisition of INVISTA Resins & Fibers GmbH, a specialty chemicals asset located in Gersthofen, Germany. The Gersthofen site has a combined capacity of 282,000 metric tons per year and employs approximately 140 employees. An agreement to acquire UTT Beteiligungsgesellschaft mbH. UTT is a supplier of airbag fabrics and other highly specialized solutions in the field of technical textiles. The company has two sites in Germany and Mexico producing approximately 70 million square meters of fabrics with approximately 420 employees. A JV to purchase M&G USA Corp. and form Corpus Christi Polymers LLC. The purchase agreement provided M&G with a binding bid of $1.125 billion in cash and other capital contributions. IVL plans to acquire M&G Polimeros Brazil S.A. in Ipojuca Brazil. The plant is the largest PET facility in Brazil. The acquisition of a 65.72-percent stake in Avgol Industries 1953 Ltd. An Israel-listed global manufacturer, Avgol is the third largest manufacturer of nonwovens for hygiene applications in the world, and holds a global market share of 10 percent. 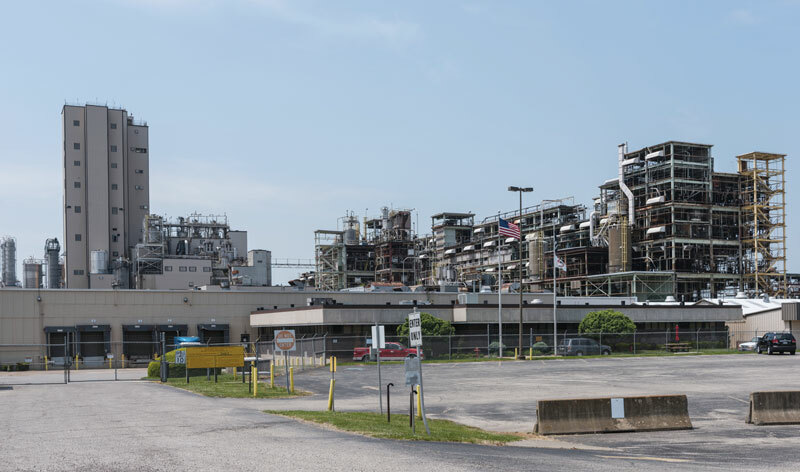 DAK Americas LLC, an Alpek polyester company, recently signed an asset purchase agreement with Perpetual Recycling Solutions LLC for its polyethylene terephthalate (PET) recycling facility in Richmond, Ind. The operation has an approximate capacity of 100 million pounds per year of high-quality, rPET flake. Terms of the agreement were not disclosed. The Perpetual acquisition will fit in well with Alpek Polyester’s Argentina-based food-grade PET recycling facility as well as its Fayetteville, N.C.-based fiber-grade recycling joint venture, according to the company. “The addition of this facility will allow us to expand our sustainability initiatives,” said Jon McNaull, vice president, PET Resins, DAK Americas. Eastman’s advanced circular recycling complements basic mechanical recycling, using methanolysis to return polyesters back to their polymer building blocks. 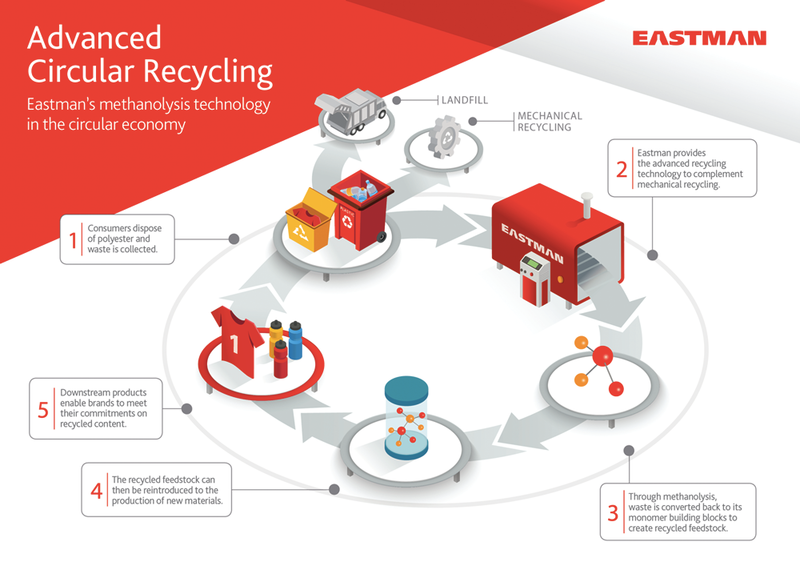 Eastman reports its goal is to open a full-scale, advanced circular recycling facility in the next two to three years. Irving, Texas-based ExxonMobil recently announced it will soon begin construction on a new polypropylene production unit in Baton Rouge, La., that will expand capacity of polypropylene along the Gulf Coast by up to 450,000 tons annually. Startup is expected by 2021, and the facility will employ 65 once operational. The company sees demand for polypropylene in everyday consumer products, but especially in lighter-weight auto parts for increased fuel efficiency. Last fall, ShayoNano USA Inc. announced plans to construct a new manufacturing facility in Chester County, S.C. An innovative developer of advanced materials, Shayo-Nano’s $14.7 million capital investment is projected to bring approximately 40 new jobs to the community. According to the company, its nanomaterials — including synthesizing additives that improve the profitability and performance of a variety of products — support a variety of applications such as coatings and paints, fire retardants, and nanocomposites. That doesn’t sound like an industry in decline, just take a look at the headlines!